I was a super fan of the color, even if it does have me going on tangents about the Prime Directive. The formula was pretty good, even if I am generally challenged by jellies. The glitter was no problem at all, and it promptly managed itself without any input needed from me (whew!). I thought that the glitter density here was perfect. A few of the bigger glitters per nail and a nice even background of the smaller glitters. I used two medium coats here- three thin may have been the best choice, but I was really happy with the opacity in the end. 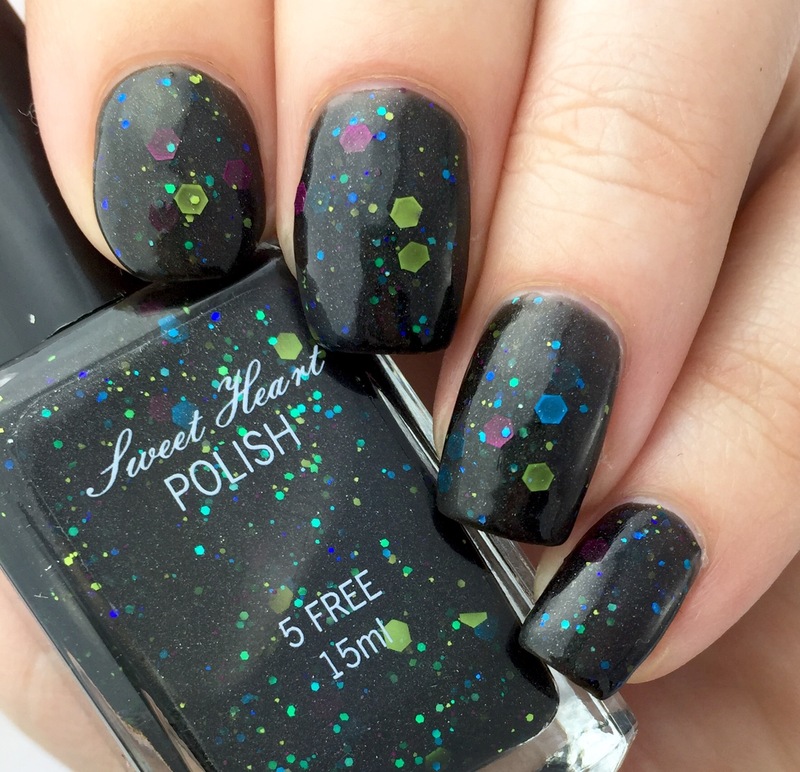 This is my first Sweet Heart Polish, but it won’t be my last. I liked the Grim Grinning Ghosts duo because it introduced me to two new-to-me indies in one fell swoop. I’m love the shades and colors in the Sweet Heart shop– especially the ones with Mickey Mouse glitter! I love the glitter hexes. Pretty polish! That macro had me drooling from the start of this post! 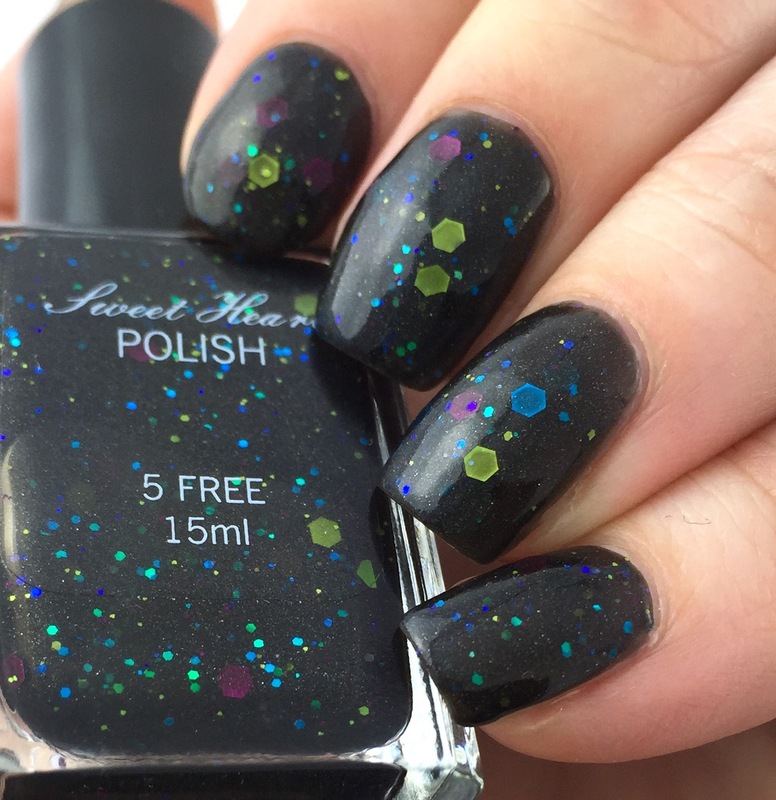 I love the glitter combination in this polish, so pretty. Aw thanks. I’ve secretly started putting the macros first because I like them best. This is stunning!! I love SHP! She always does a lovely job. This is my first, but I definitely need more! I think the Prime Directive makes exceptions for awesome black jellies. Omg! 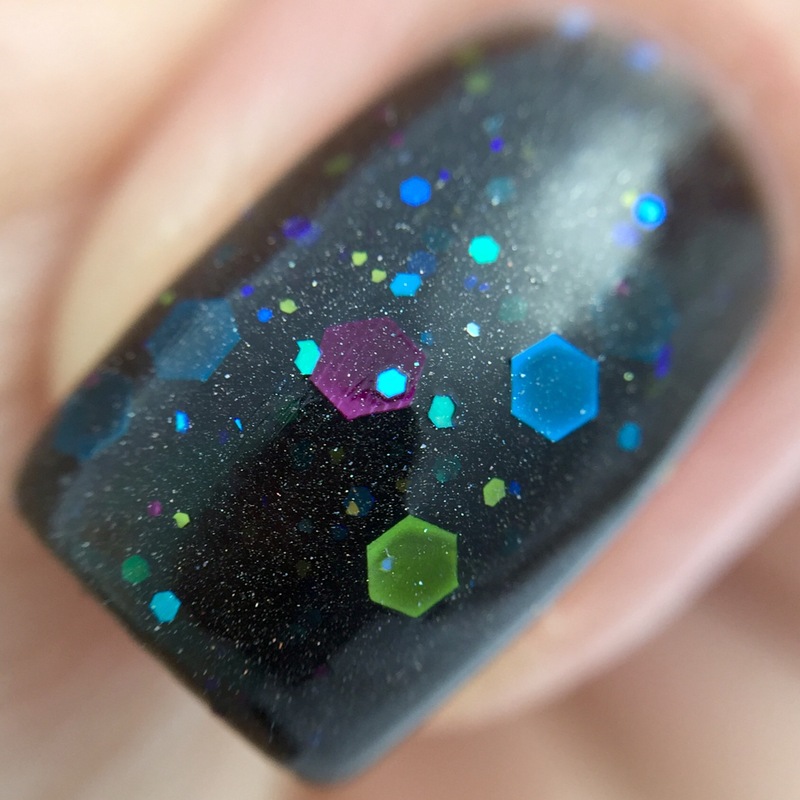 I love the color combination of the glitter chunks! 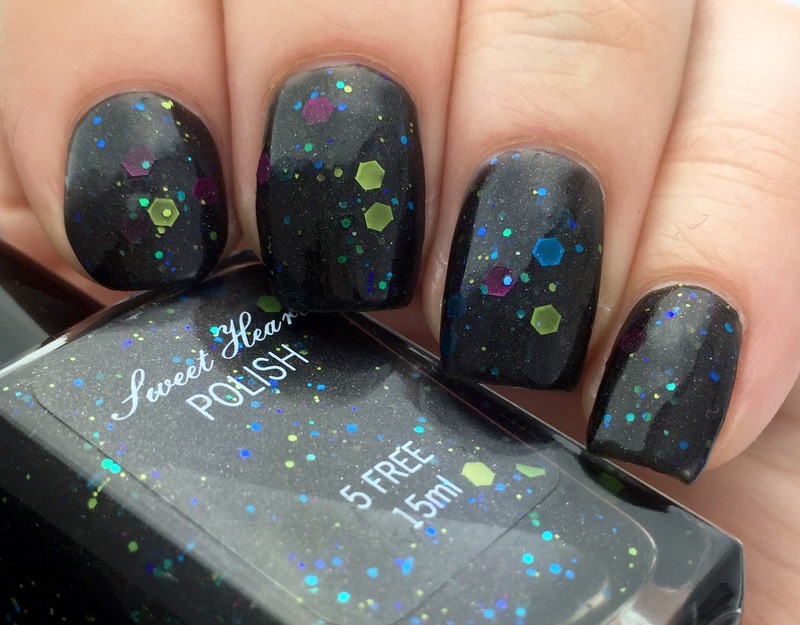 Why do I feel like I need every polish that has hex shaped glitter?